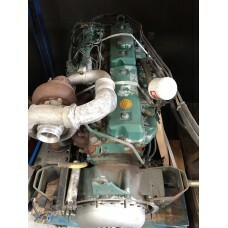 We have used truck engines available for immediate purchase for most trucks and commercial vehicles. All our truck engines are dry stored on pallet racking in our purpose-built air-conditioned warehouse in Bridlington. They are removed from host vehicles by our own experienced engineers and thoroughly checked over. This allows us to assign each and every engine with a condition, such as used and tested. All our used truck engines come with a minimum 30-day repair or replace guarantee if the item is faulty. This gives you complete peace of mind. 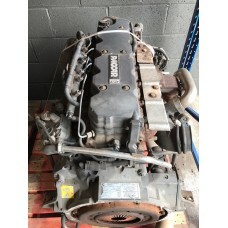 We have truck engines available for most trucks. Right now, we have Volvo engines, Mercedes engines, MAN engines and Scania engines available. Buying a used truck engine offers around 85% savings over buying new. Save yourself thousands by buying directly from us. We disclose the engine model on our engines among other information to allow you to easily determine whether or not an engine is compatible with your vehicle. If you are unsure, you can contact us, and we’ll do our best to assist in sourcing the correct engine. We regularly rotate stock and our used truck engines don’t stick around for long. For this reason, we recommend you register your interest early to avoid disappointment.